This way you can keep updated with the latest evangelism reports, any upcoming outreaches, or new gospel tracts released. "Follow the pattern of the sound words that you have heard from me, in the faith and love that are in Christ Jesus." Get some Easter gospel tracts to hand out this weekend. Put one in each of your neighbour's letterboxes. Share the true meaning of Easter this Easter. If you live in Australia, we offer Express Post delivery to get them in time. Or if you live in New Zealand, contact our Christchurch team leader to get some in time. Besides our usual outreaches this weekend, we also have a special one for Easter on Monday 22nd April (the public holiday). 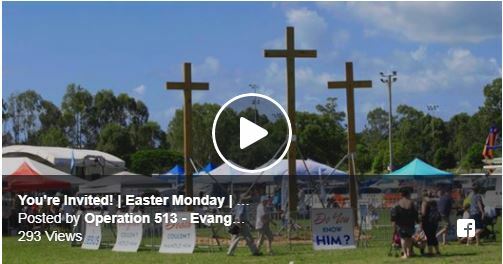 It will held in Cleveland (QLD) at the Redlands Easter Family Festival, which is put on for the community and run by the churches in the area. All the food and rides are free, so organisers expect 10,000+ people to attend. And we get the opportunity to reach them with the gospel! You’re invited to come along, you can bring your family and have a day out, or you can come on your own with the plan to share the gospel with those who are yet to hear of Christ! It is at the Cleveland Showgrounds from 9:30am - 3pm. 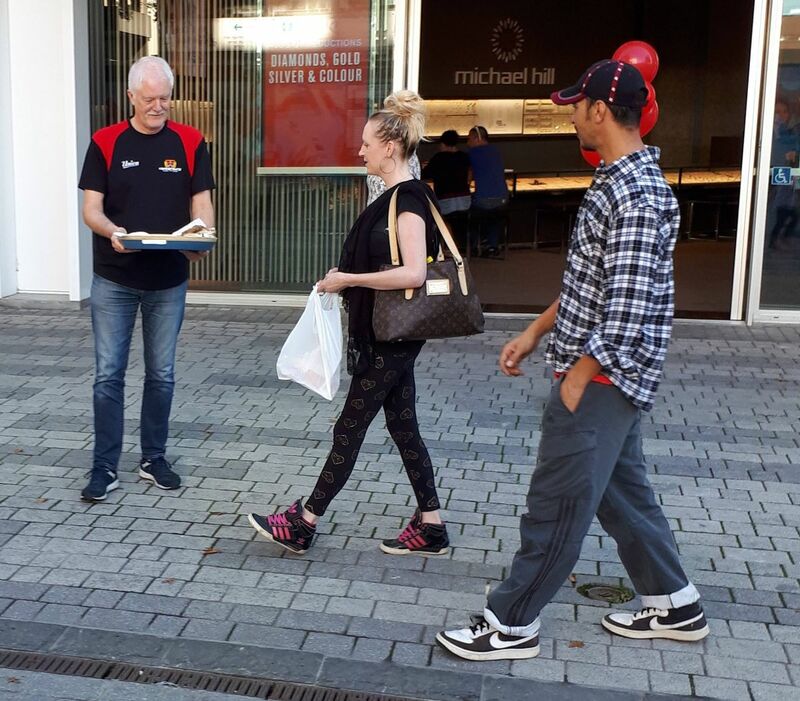 Two special outreaches will be happening for Easter in New Zealand, on the Easter Saturday and the Easter Monday at 11 AM – 1 PM in Cashel Mall, Christchurch where we'll be giving out hot cross buns and gospel tracts. This is our ninth post to help you to be as clear as possible in speaking with unbelievers, explaining why some common Christians phrases shouldn't be used in witnessing encounters as they are either unbiblical or are very easily misunderstood by the unbeliever. 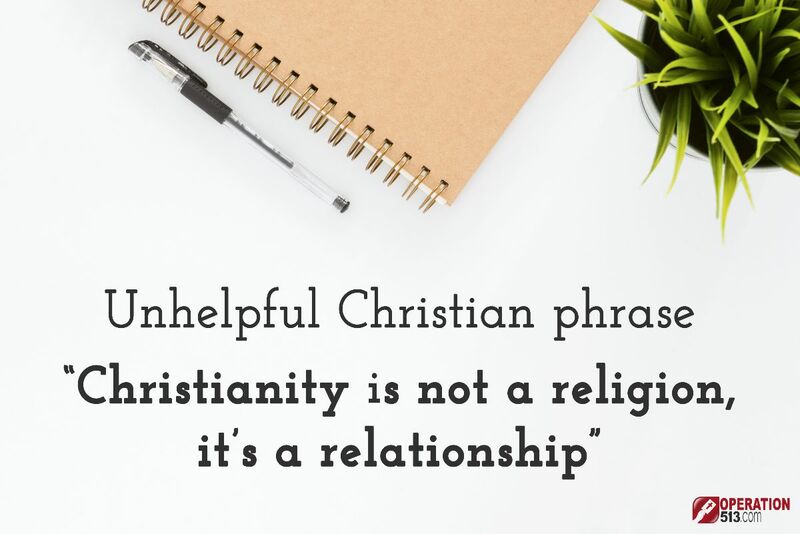 The ninth phrase not to use is: "Christianity is not a religion, it’s a relationship". • It’s untrue:The dictionary definition of the word ‘religion’ is the "belief in a superhuman controlling power, especially a personal God" (Oxford). Therefore, since Christianity does believe in God, it is rightfully classified as a religion. • It’s unbiblical: The Bible implies Christianity is a religion (James 1:26) and speaks positively about the word religion and its effects (James 1:27). • It’s confusing: Unbelievers hearing this phrase get utterly confused, because they are hearing that Christianity doesn’t believe in God or have a set of beliefs - which is not what you want someone to think. • "Christianity is not a works based system where we have to earn God’s favor by doing good or church-going. Instead God offers forgiveness to sinners like us as a gift, through faith in what Jesus has done, so we can have peace with God and be with him forever in heaven." This is the final post in this current series. You can review all the posts in this series below, so that each of us can be even better ambassadors for Christ. #2: "Ask Jesus into your heart"
#3: "Jesus is standing at the door of your heart and knocking"
#4: "Ask God if He is real"
#5: "Become friends with God"
#6: "You are separated from God"
#7: "God wants you to have an abundant life"
#8: "Give Jesus a try"
#9: "Christianity is not a religion, it’s a relationship"
What is the biggest miracle? 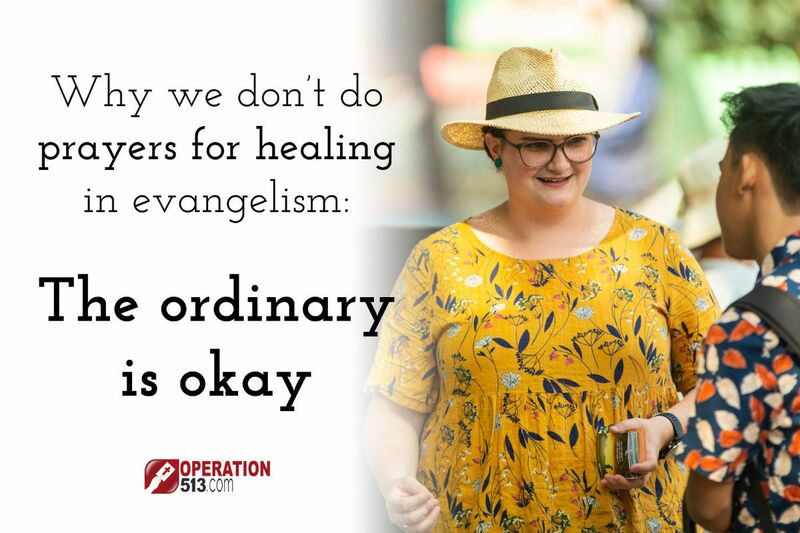 Our sixth reason for not doing prayers for healing in evangelism is that "the ordinary is okay". While those things may draw more attention from the world, it shows a complete dissatisfaction with the ordinary. As we’ve seen in this series, a person seeing a miracle doesn’t save him. It’s the preaching of the gospel that saves (Romans 1:16). God uses the ordinary means of you having a conversation with a classmate, colleague, friend, or stranger, presenting the news of Christ’s death and resurrection for the forgiveness of sins, to save him. It’s not flashy, it’s not showy, but it is the thing God uses to save. Handing out a gospel tract to a man on the street or to the attendant at the shop isn’t news-worthy, but from that action alone, God will use that. Ordinary is good, it’s not boring or bad. And through these ordinary means, God performs the biggest miracle that there is, the salvation of a God-hating sinner, bringing him from darkness to light. We want more of that don’t we? So let’s keep preaching the gospel every chance we get! This is a series of posts that explain why we as a ministry focus on sharing the gospel when evangelising. Another reason next week! Copyright © 2019 Operation 513, All rights reserved.